I had a lazy sunday and stayed in today... and watched fashion movies. Audrey Tautou's acting was superb. I want to look up who the actor was who played her English lover "Boy"... he was gorgeous!! 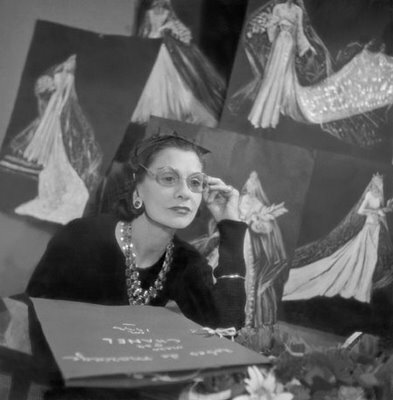 The film basically tells the life of Gabrielle "CoCo" Chanel, with a big emphasis on her personal life. ... and Real shots of CoCo Chanel. I would recommend every fashionista Watch "CoCo Before Chanel", if you haven't already!